LONG distance and other expensive calls made over your telephone without your consent can be prevented by a dial lock now being marketed. 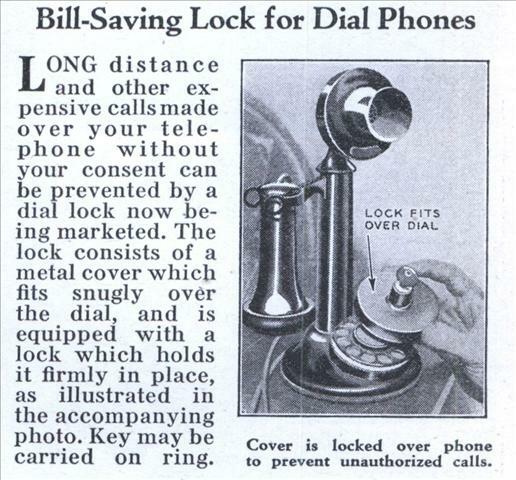 The lock consists of a metal cover which fits snugly over the dial, and is equipped with a lock which holds it firmly in place, as illustrated in the accompanying photo. Key may be carried on ring. Do they make them for cell phones too? But yeah, I had a phsycho aunt that had one of those things in the 1970’s it was different than this one, it was smaller and just clamped to the number 0 but still wouldn’t let you dial the ugly avocado green rotary desk phone. What an awesome way to prevent anyone from calling the fire or police departments. Because, of course, saving $2.00 is more important than saving someone’s life. Well the problem was that long distance phone calls at that time cost a few dollars a minute. 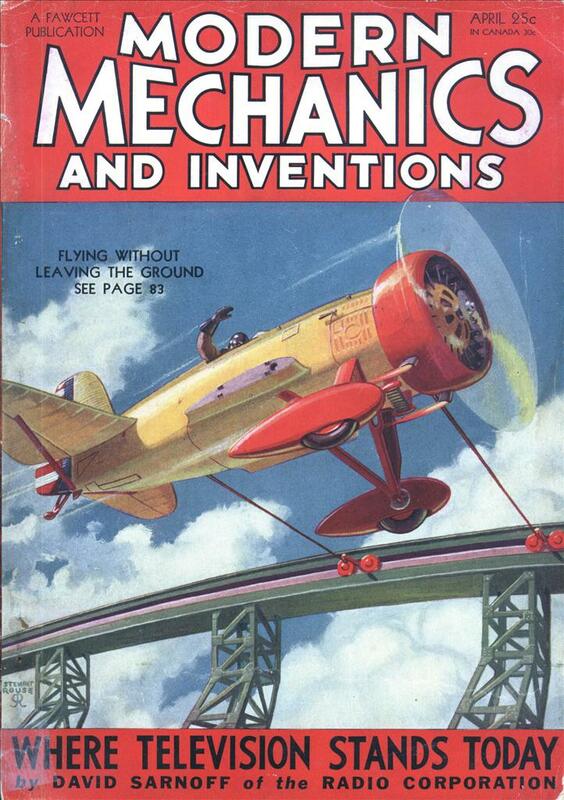 And in 1932 dollars, that’s a whole lot of money. Al Bear, I remember those, but I think they went it the “1” hole. If they went in the “0” hole you could still dial all the numbers. The lock prevented the dial from moving past that point. I don’t see how this could work. You could still tap out the number you want to dial using the hook switch. Or just ask the operator to connect you. 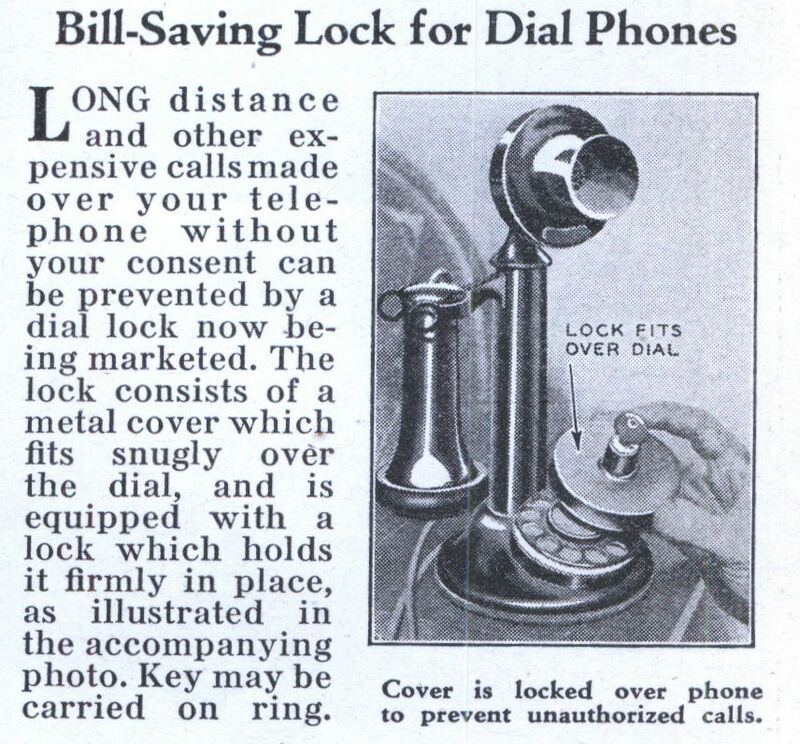 I guess local calls were still made mostly through an operator, and in 1932 it was really blleding-edge tech to have a dial on your phone. I’d forgotten about those little locks that plugged into the dial, I saw one when I was a kid at my piano teacher’s house. I’m sure there’s a joke there someplace. Couldn’t you still dial with the hook switch?